You should use SPF every day, any day of the week, all year round! This is the type of advice any dermatologist or fashion/beauty magazine will give. However if you ask any close friend or all-year-round bronze goddess, I bet they will have a different opinion on the subject matter. The truth is that the difference between SPF factors is marginal and picking up SPF 30 is not going to provide double the protection compared to SPF 15. 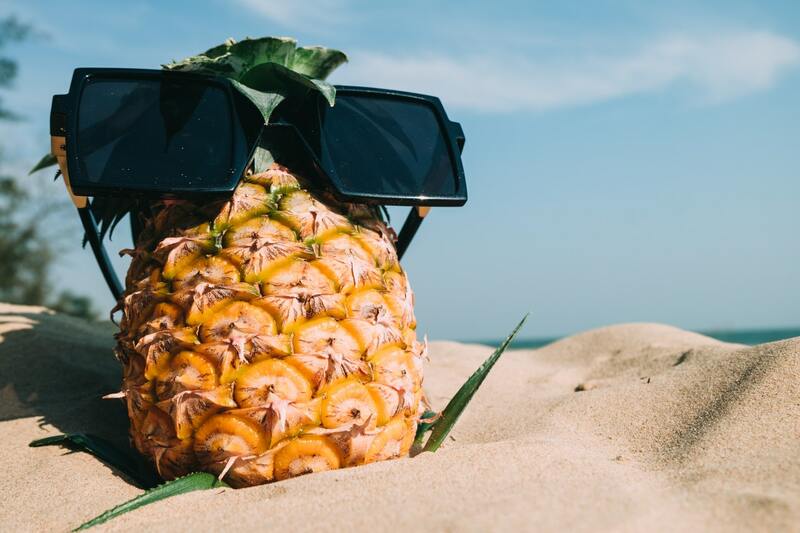 Picking up the right SPF protection combined with few useful tips on sun tanning can certainly give you the answer to burning questions such as how to get tan at the beach and avoid sunburn. Seek some shade after few hours of sunbathing on the beach/pool, every skin reaches tanning cut-off point when it physically can’t produce any more melanin. Sun can penetrate trough the clouds and cause sunburn, that’s why dermatologist recommend using sun protection every day. Sun creams, lotions, and oils have an expiration date of 12 months only! UVA = causes premature aging. These rays are strong and do penetrate through clouds and windows. UVB = causes the skin to burn. These rays are blocked my clouds and windows but they are responsible for skin cancers. During my recent sun holiday, I managed to use up few sun care products for both face and body. The combination of consistency and range in SPF factors really helped me achieve a nice bronze glow after only a week under the sun. I’m not saying you need five different sun lotions but it can certainly help topping up regularly and having two separate lotions for face and body. Also quality does vary per brand so be careful what you pay for. Vichy Ideal Soleil Velvety BB Cream SPF 50 is great tinted moisturizer that really does not work well if the weather is actually hot. The formulas slides and bunches quite a bit making it impossible to have an even application. Even when applied in the morning, after cleansing the consistency still does not sink in properly into the skin. Perhaps this is a great product for spring and the odd sunny day in autumn but certainly not for summer. Biotherm Lait Solaire Sun Body Lotion SPF 30 is probably my most preferred SPF brand and lotion of choice. The formula sinks in quickly, leaving no white residue. It has a light fragrance and great packaging that never let me down. I never experienced any serious burns when using this product, assuming that I replied every hour or after being wet. One bottle like this shared between two people is enough to last for seven to ten days holiday. Lancaster Sun Beauty Oil-Free Milky Spray SPF30 has a good formula but faulty packaging. I probably used about three bottles of this same lotion and the spray nozzle always seem to clog half way through. The formula is not as light weight as Biotherm lotions and does tend to be a bit stickier too. For some reason, I really wanted to like Lancaster sun range but unfortunately, five bottles after (yes that’s how much product I used up before completely giving up) I prefer to stick to Biotherm. Hawaiian Tropic Spray Oil SPF 10 is a very popular dry tanning oil of choice. The formula is gel-like which is feels very comfortable during application. You can easily spot areas that miss just search for the matte piece of skin. It gives the skin distinct baby oil type of look that some love other hate. One thing I found is that if you don’t reapply regularly you will burn quite badly. In my experience, this rule goes for any type of oil tanning product. Banana Boat Ultra Protect SPF 30 Sunscreen Lotion is very inexpensive drugstore sun lotion that is really not that good. The formula is very hard to absorb into the skin and leaves while streaks even 30 min after application. In terms of protection it does a good job but honestly, I felt that I’m better off spending a bit extra and avoid the white streaks beach look. This article is in collaboration with ClickStay, a holiday rentals website where you can rent luxury villas, modern city apartments and traditional country houses directly from the owner. They cover many exotic and family friendly destinations giving you the opportunity to experience living in cities like a local.